HPSF provide affordable, short run Isotropic Super Finishing and Polishing using specially built machines solely for Australia. HPSF has now been established for some 6 years – although its parent company BV Products – has been operating for over 35. HPSF operates a facility dedicated to providing Isotropic Super finishing & Polishing services solely for Australia and NZ. The company is equipped with all the machinery and support infrastructure that enables it to provide a full service and providing super-finished parts at competitive prices. Our investment in specially built machines means that we are able to provide very effective turnaround times on parts of all types. HPSF currently provides isotropic finishes on parts weighing from a few grams to those weighing in excess of 200kgs and more – with new machines constantly being brough on line to handle even heavier and bulkier parts such as mining or wind tower components. 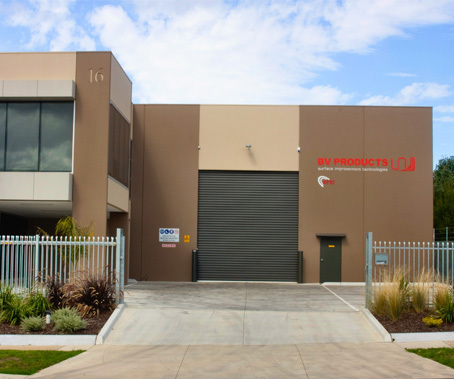 HPSF has a state of the art, purpose built facility-the only one of its kind in Australia. Wherever metals come into contact with each other contact stresses and friction occur. Both these conditions regulate and reduce the performance and compromise the design of the component. Super-finishing or CASF (Chemically Accelerated Surface Finishing) is a means of regaining those losses by producing a superfine finish where it is most needed. The process is carried out in specially designed vibratory finishing bowls and or tub/trough machines. These machines are utilised with high density, non-abrasive ceramic media and two specially formulated metal finishing compounds. The combination of problems such as friction, heat, vibration and fatigue adversely affect a range of different components across many industries. 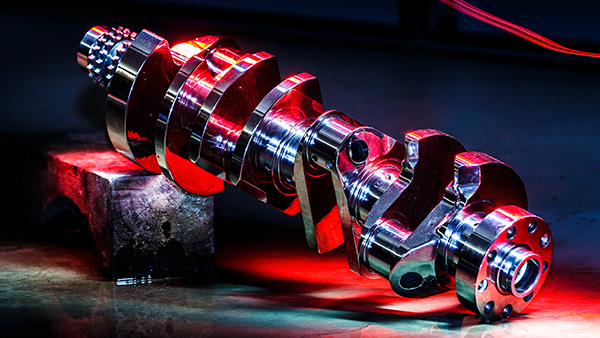 This proven technology has transformed the performance capabilities of these metal components which in turn has created a number of performance, financial and operational benefits. This process is radically different from conventional machining. The following is a brief overview of the chemically accelerated vibratory finishing process using high density, non-abrasive ceramic media. The process is carried out in specially designed vibratory finishing bowls and or tub/trough machines. These durable machines have been around for more than 60 years. Vibratory machines are available in sizes from 15 L to 1000 L working capacity. This means gears and other components can be finished ranging in size from less than six mm in diameter to more than two metres in diameter and quantities from one to hundreds at a time. HPSF parent company manufactures dedicated ISFP machines in its Melbourne Factory and has for over 35 years. The process utilises high density, non- abrasive ceramic media in the vibratory finishing machine. It is considered non-abrasive since it does not contain discrete abrasive particles and alone is unable to abrade material from the hardened surface of the components being processed. The media is selected from a range of shapes and sizes best suited for maintaining the geometry of the parts. The selection of the correct media is a critical part of the process. The unique and significant feature of the process is the surface levelling/smoothing mechanism utilised to achieve the surface finish. A reactive chemistry is used in the vibratory machine in conjunction with the media. When introduced to the vibratory machine this chemistry produces a stable, soft conversion coating across the asperities (peaks and valleys) of the components. The rubbing motion across the components developed by the machine and media effectively wipes soft conversion coating off the ‘peaks’ of the parts surfaces, thereby removing a micro-layer of metal. After this continual process is complete, the conversion coating is wiped off one final time using a neutral soap to produce a mirror like surface. This process does not affect the integrity of the parts either structurally or dimensionally and any very sensitive bearing areas etc. can be effectively masked if required prior to super-finishing. A combination of elements such as friction, heat, vibration and fatigue adversely affect a range of different components across many industries. Isotropic Super-finishing & Polishing and CASF (Chemically Accelerated Surface Finishing) has transformed the performance capabilities of these metal components which in turn has created a number of performance, financial and operational benefits.